Primarily for use where resident is living in self-contained unit, with the potential to fall and unlikely to be able to reach the call button. 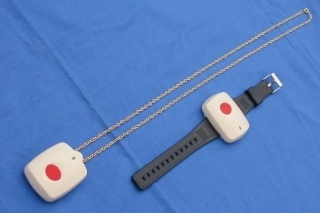 By wearing this pendant, the call button will be activated via a wireless receiver. The 990 can also be used by another resident/patient sitting close to a companion on a wireless cushion to call for help if that person is in trouble.